Want to learn how to track affiliate links in Google Analytics? By tracking your affiliate links, you can find out exactly how your users are interacting with them on your site. Then, using the gathered data, you can optimize your links for better conversions and revenue. In this article, we’ll show you how to track affiliate links in Google Analytics in 3 easy steps. Without a doubt, affiliate marketing is one of the most popular ways to make money online. If you have a good amount of regular traffic coming to your WordPress site, you can earn a tidy sum of money by adding affiliate links on your site. Affiliate links are links to sales pages for other people’s products with your affiliate id attached. So, when people buy products through that link, you earn a certain amount of commission money. When managed properly, affiliate marketing can give you good perennial income. However, successful affiliate marketing isn’t possible without proper data and analytics. You need actual statistics on how your users are interacting with the affiliate links to optimize said links and to run affiliate marketing campaigns well. Get actual data on user interaction: You can find out exactly how users interact with your affiliate links. Analyze where people are clicking the most. Identify your most profitable links: Find out which links are leading to the most conversions and focus on them. See most converting pages: View which pages are leading most affiliate sales and optimize them for more revenue. In a nutshell, affiliate tracking helps you to see how users view and interact with your affiliate links. It provides comprehensive data with which you can optimize your affiliate marketing strategies and maximize your earnings. Google Analytics is the best web analytics platform available on the market. It helps you track your entire website traffic and their interactions on your site. As such, affiliate tracking is just 1 type of metric that Google Analytics tracks. Although Google Analytics has the ability to track a wide variety of metrics, advanced tracking like affiliate links and eCommerce reports are a bit tricky for beginners to set up. Fortunately, there’s an EASY way to use Google Analytics in WordPress: MonsterInsights. MonsterInsights is the most popular WordPress Google Analytics plugin on the web. It simplifies the whole process of using Google Analytics in WordPress. Using MonsterInsights, you can set up Google Analytics affiliate tracking in just 2 minutes. ThirstyAffiliates is the best affiliate management plugin for WordPress. It allows you to add your affiliate links from one place in your dashboard, organize them by categories, and manage them efficiently. Most importantly, it allows you to cloak your affiliate links (i.e. to transform long complex affiliate links into short pretty links). The main benefit of managing affiliate links with ThirstyAffiliates is that it stores your affiliate links in your site’s backend, so you can find the links easily anytime you want to add them to content. They’re searchable by names. Second, cloaking transforms long, ugly affiliate links into pretty links. It also makes the affiliate links look like internal links which are actually external. This prevents your users from seeing direct affiliate links and enhances your chances of getting more clicks. Best of all, using an affiliate link management plugin allows you to easily track your affiliate links in Google Analytics. MonsterInsights affiliate tracking also uses cloaked links for tracking. So, your first task is to install ThirstyAffiliates and add your affiliate links to its interface. It’s easy to add and manage your affiliate links using this plugin. If you need detailed instructions, check out our tutorial on how to add affiliate links in WordPress with ThirstyAffiliates. 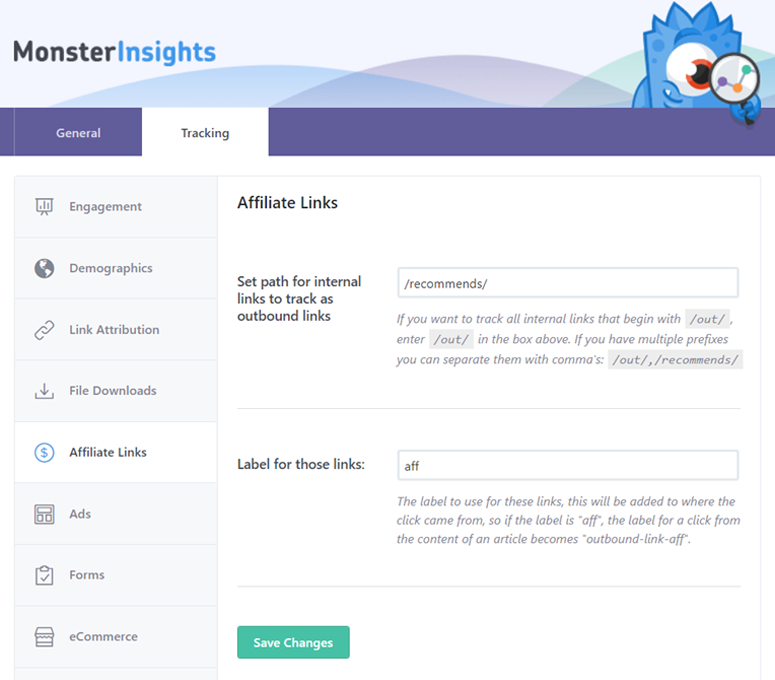 After you add and manage your affiliate links with ThirstyAffiliates, you’re ready to set up affiliate tracking with MonsterInsights. Setting up affiliate tracking with MonsterInsights is really simple. It’ll take just a few clicks to complete the setup process. 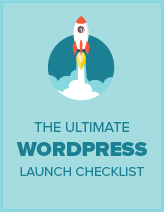 To get started, you’ll need to install MonsterInsights on your WordPress site. Then, connect your site with Google Analytics using MonsterInsights. It’s easy to set up Google Analytics with this plugin. If you need detailed instructions, here’s our step-by-step guide on how to set up Google Analytics in WordPress with MonsterInsights. After the setup process is complete, you’re ready to set up affiliate tracking. In this field, you’ll need to specify the path for internal links to track as outbound links. When using an affiliate management plugin like ThirstyAffiliates, your affiliate links will look like an internal link. In the above example, the link looks like an internal link however it redirects to an outbound link (i.e. an affiliate link). And, your affiliate links are cloaked with /recommends/. Now, you’ll need to paste /recommends/ in this field, so that Google Analytics can identify which internal links are affiliate links. If you use multiple prefixes, you can separate them with a comma: /recommends/,/out/. That’s it. You’re done with affiliate link tracking setup. Now that you’ve set up affiliate tracking in WordPress with MonsterInsights, you may be curious how to view the reports. So, here it is! With MonsterInsights, you can view your most important analytics reports right inside your WordPress dashboard. To view your affiliate reports, go to Insights » Reports » Publishers from your WordPress dashboard. 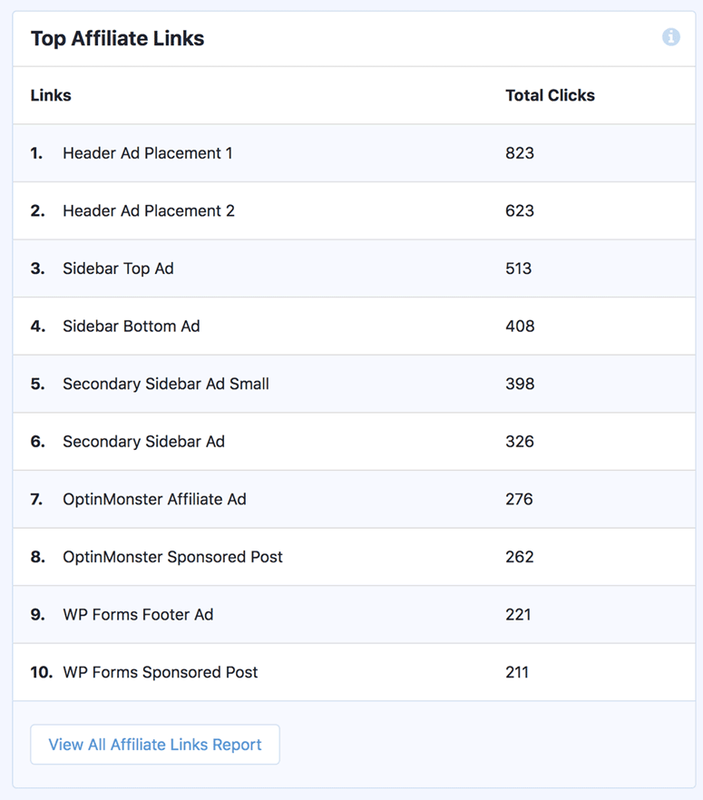 This report shows you the 10 best affiliate links for your site. If you want to see more than that, you can click the View All Affiliate Links Report button at the bottom of the report. 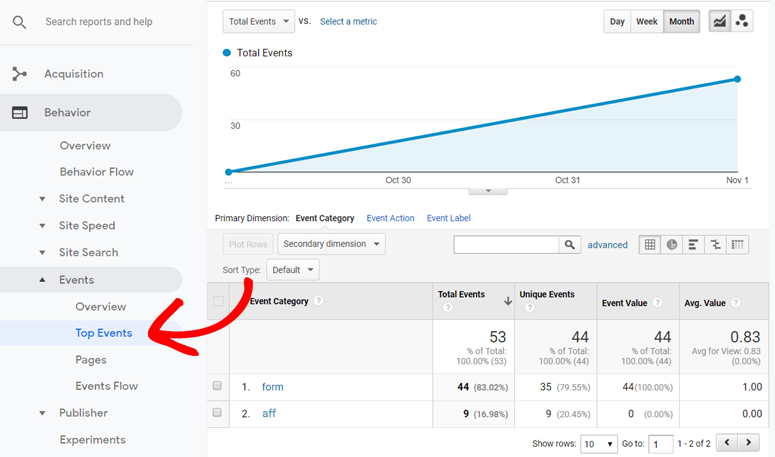 That will redirect you to Behavior » Events Top Events in your Google Analytics account. We hope this article helped you to learn how to track affiliate links in Google Analytics. You may also want to see our guide on how to create an Amazon affiliate store with WordPress.